In a report based on employment practice litigation published by Hiscox, the global specialist insurer found businesses residing in the sunny state of California are 40% more likely to be involved in an employee lawsuit than the national average. In the report 2015 Hiscox Guide to Employee Lawsuits the study weighs in on the impact of employee lawsuits has on small and mid-sized businesses. 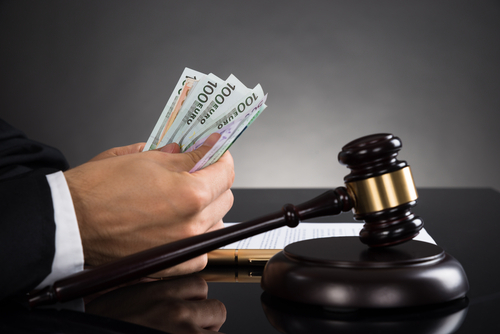 The report compiled using the latest data on employment charge activity from the Equal Employment Opportunity Commission (EEOC) and its state counterparts across the US indicate one in every five businesses will face employment lawsuits! Why are California Businesses More at Risk? Why do businesses in states such as California face a higher chance of employee lawsuits than the national average? Report authors suggest that business operating in states which laws go beyond that of federal guidelines face greater risk of employee litigation. In California’s case, strict regulation around anti-discrimination and fair employment practices subject businesses create additional obligations and risks for employers. Being involved in a lawsuit is a last thing your business would need. How can you begin to prevent the potential for an employee lawsuit? First off, ensure that your hiring policies are up to date and complaint with local, state, and federal law. Be sure to provide your newly trained employee with a handbook that outlines your company's policies and procedures on issues such as discrimination, harassment, and a thorough complaint policy. Bertrand Spunberg, Practice Leader – Executive Risks at Hiscox USA states, “It is important for companies, especially those operating in these high-risk markets, to be keenly attuned to any legal developments that may affect their exposures ". Still Feeling Unsure and Vulnerable to Employee litigation? If you still find yourself feeling underprepared for potential lawsuits it may be in your best interest to hire a professional service. Emplicity understands that HR Outsourcing should be simple and meaningful. As a Professional Employer Organization (PEO), we strive to be a great partner in supporting your business. If you would like to request more information on how we can assist your needs, please reach out to us at 877-476-2339. We are located in California – Orange County, Los Angeles, and the greater Sacramento and San Francisco area.